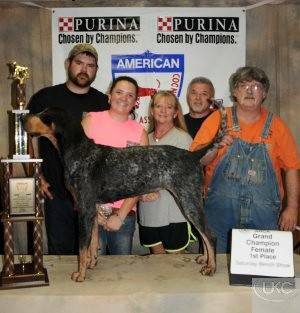 As of Feb 2017 Fly Girl has earned herself a lovely retirement. 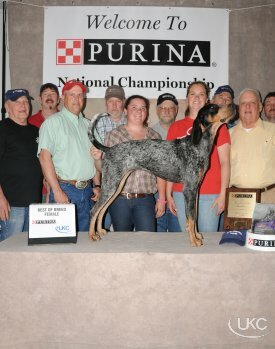 She is the dog that got me to the big time, and I will never forget all the friendships made and lost over this hound. 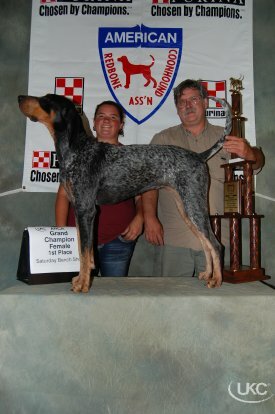 She gave me her all for 7 years as well as WONDERFUL babies! 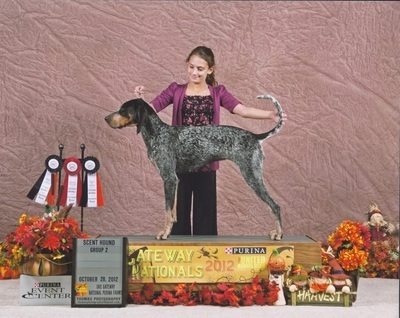 We look forward to promoting a pup of her in the years to come! 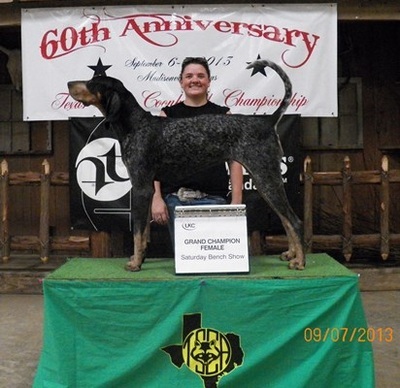 ​A Big Thanks to Whitney Killough for allowing her to me so many years ago! 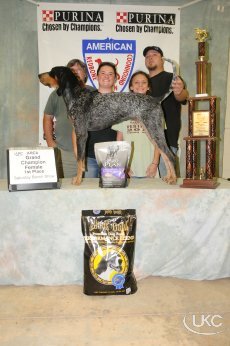 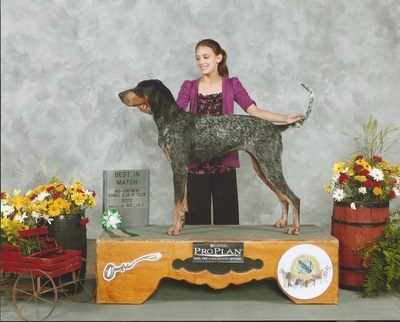 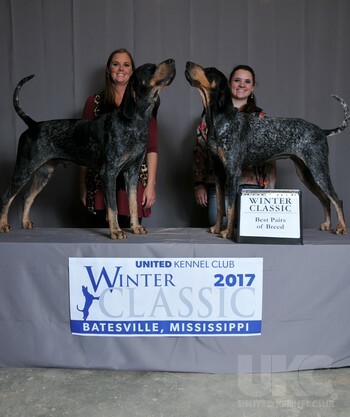 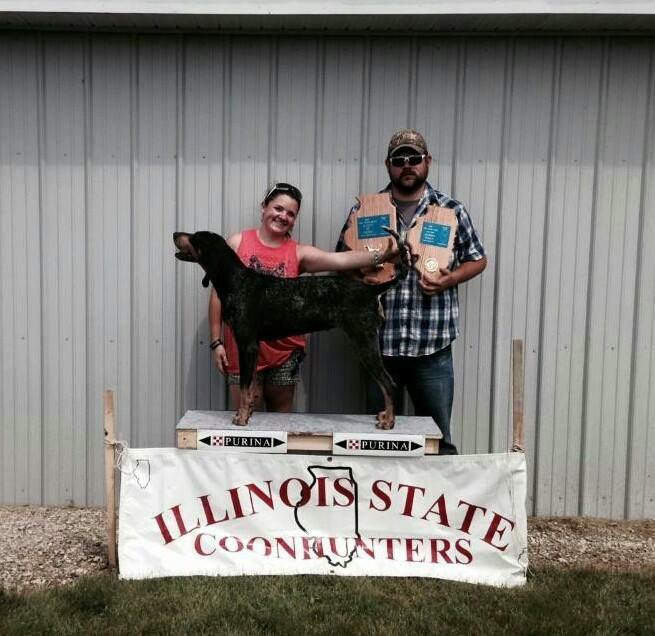 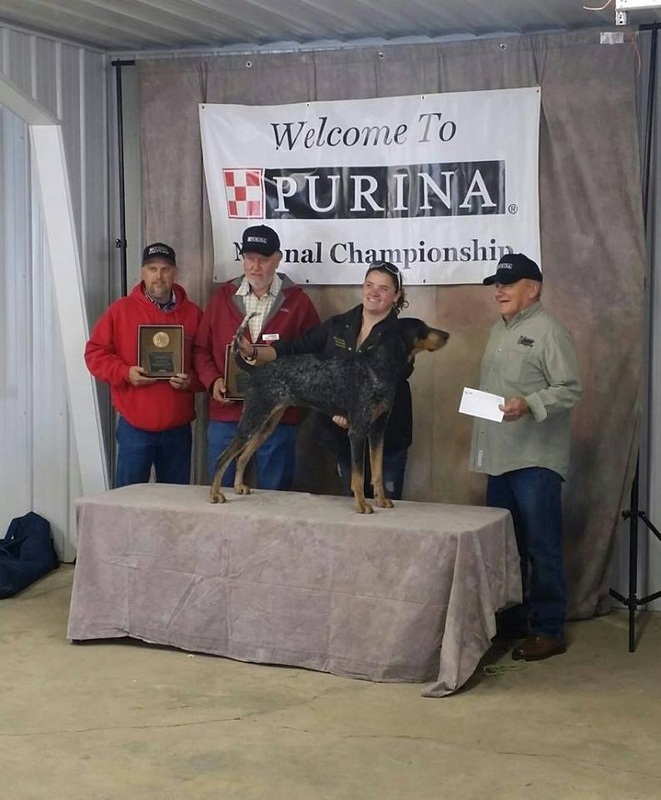 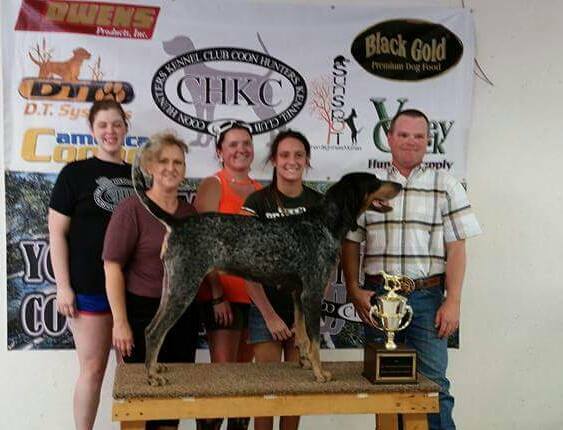 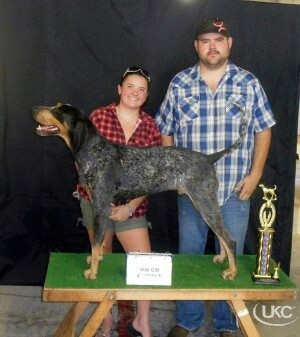 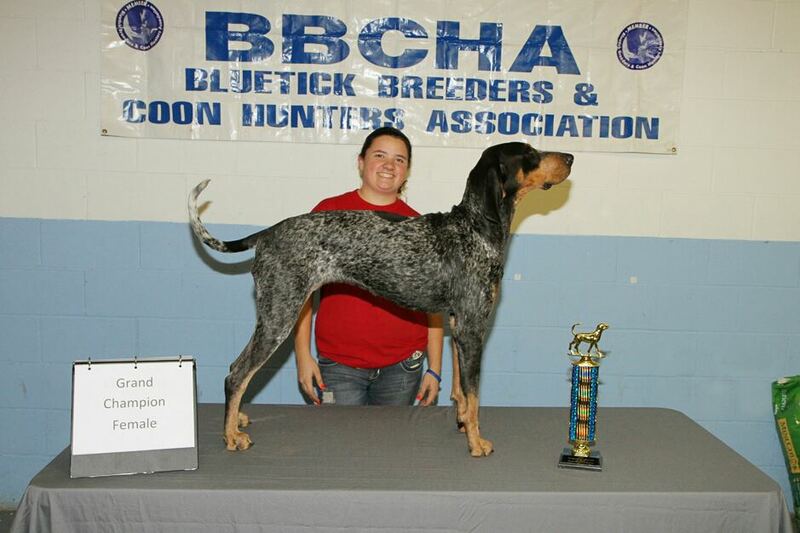 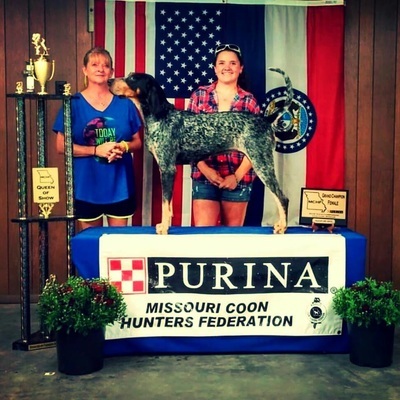 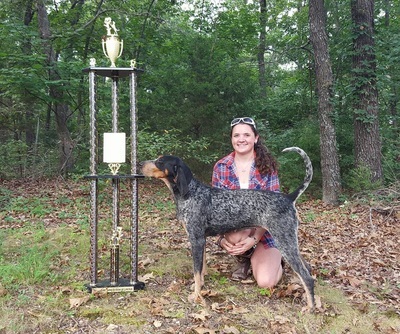 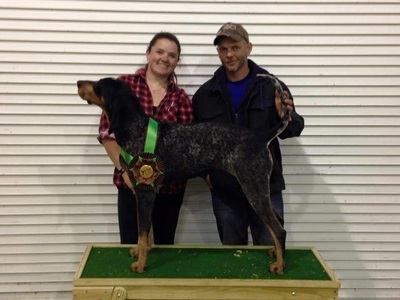 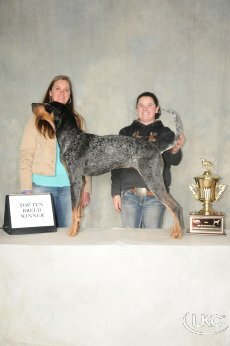 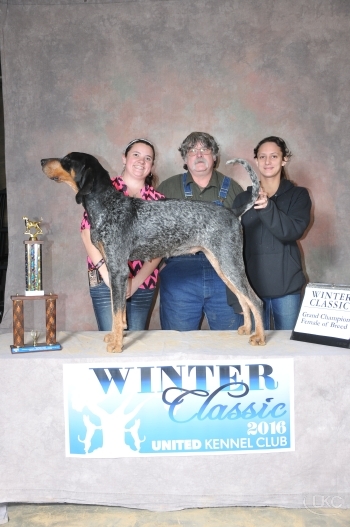 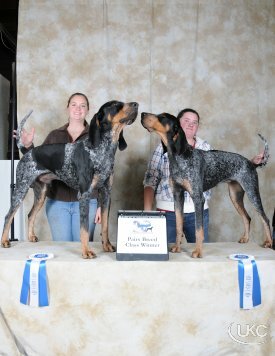 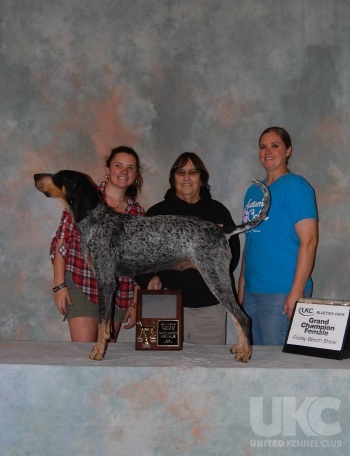 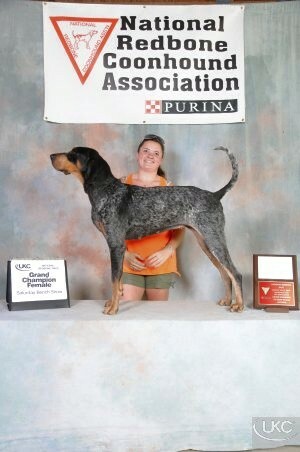 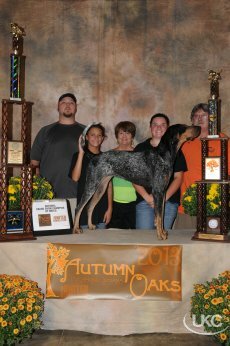 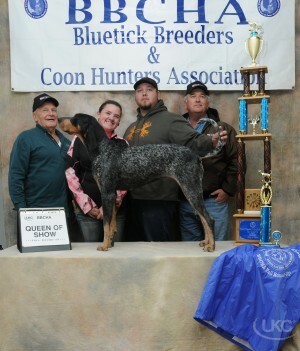 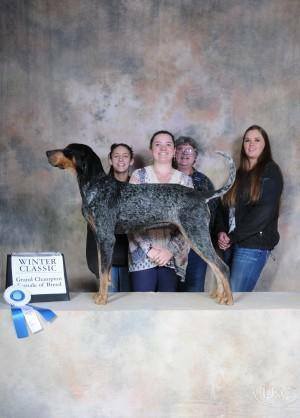 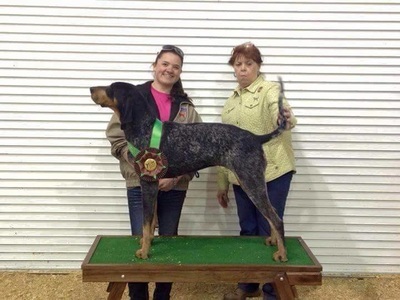 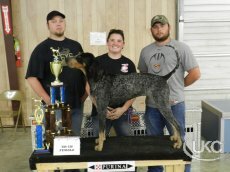 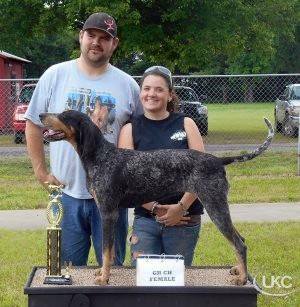 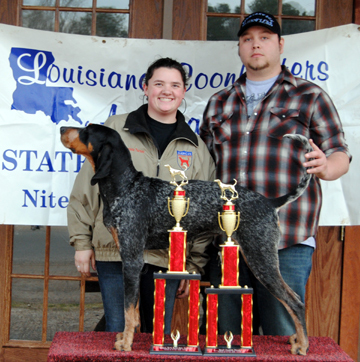 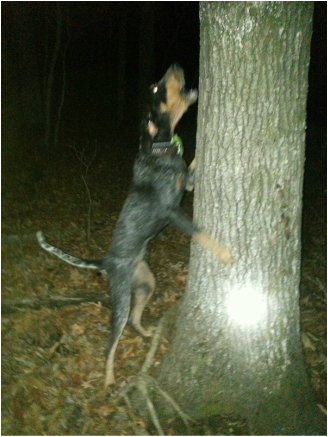 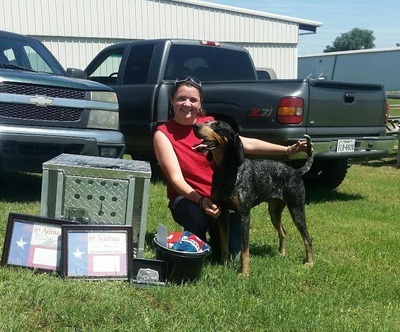 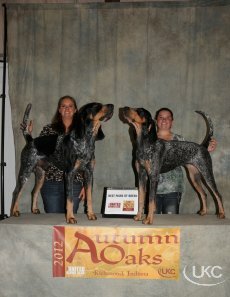 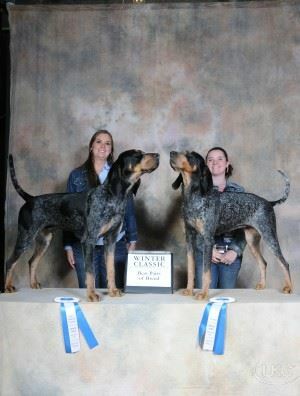 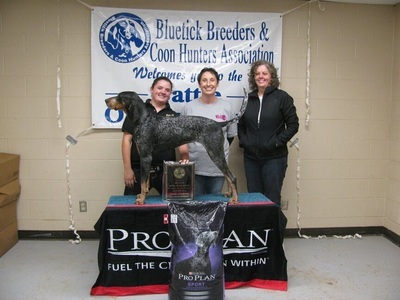 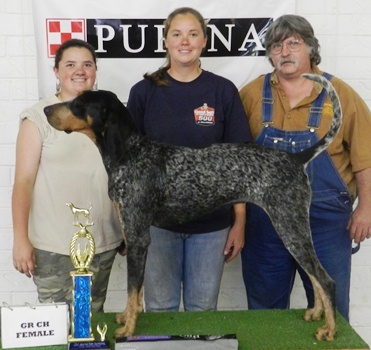 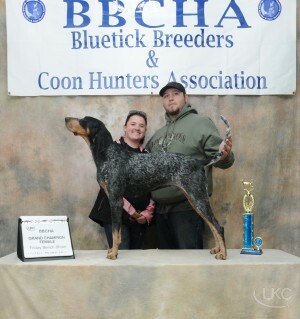 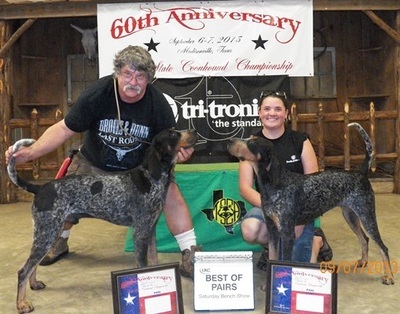 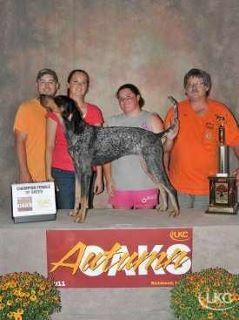 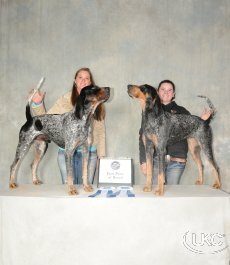 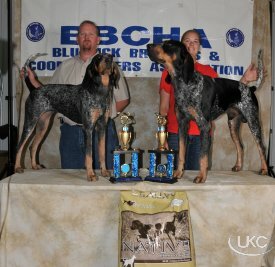 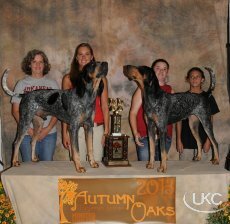 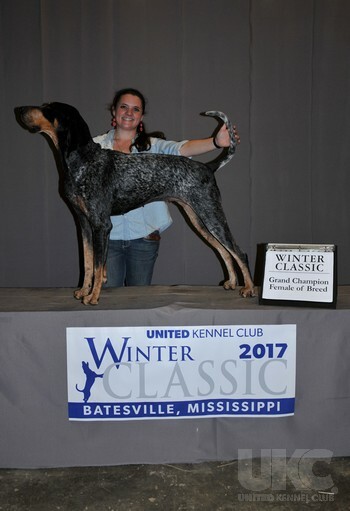 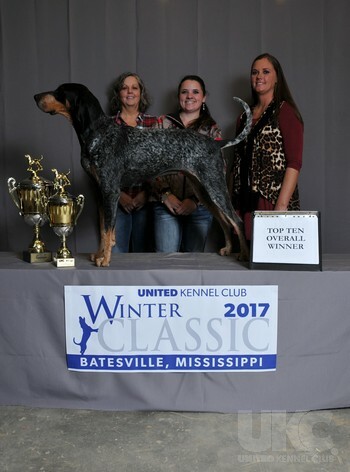 Fly is truely a once in a lifetime type of dog, she has proven herself all over the country for 5 years straight. 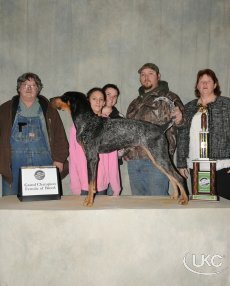 We are unbelieveable blessed to haul her. 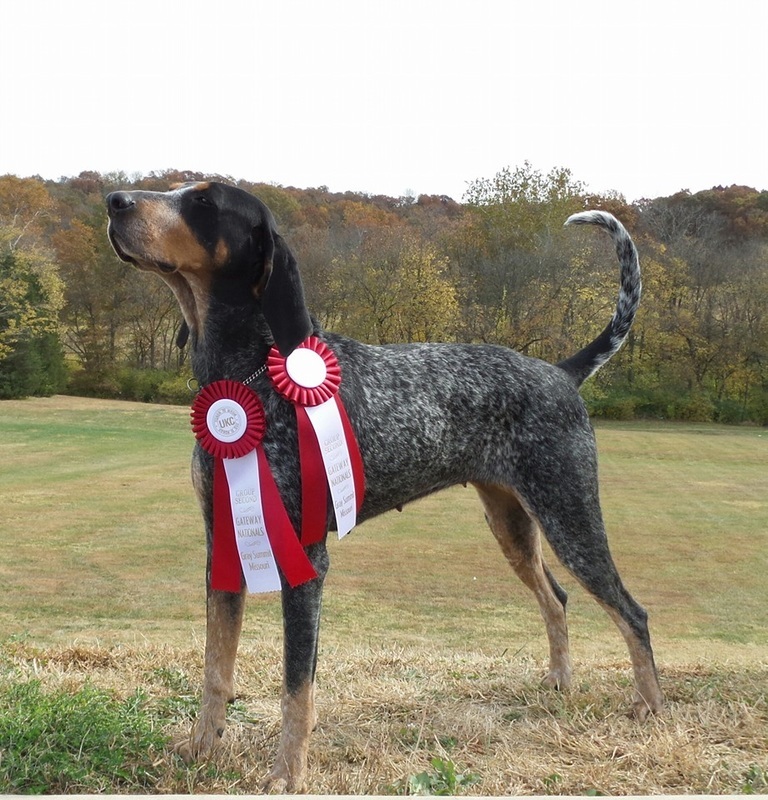 She will go down in history as one of the most winning Blueticks of all time. 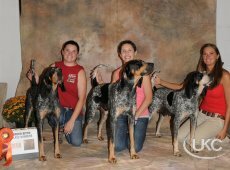 We have had one litter out of her and the pups are starting very well in the timber and defintely have the looks to match. 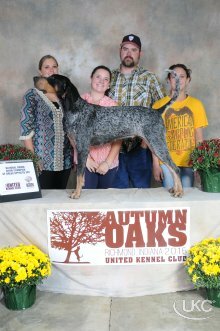 We are planning a litter out of her LATE 2016. 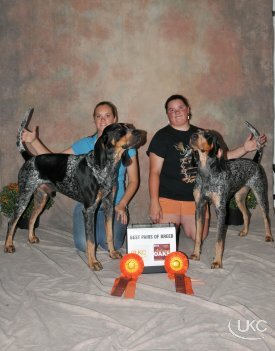 We have several studs we are looking at, at this time.